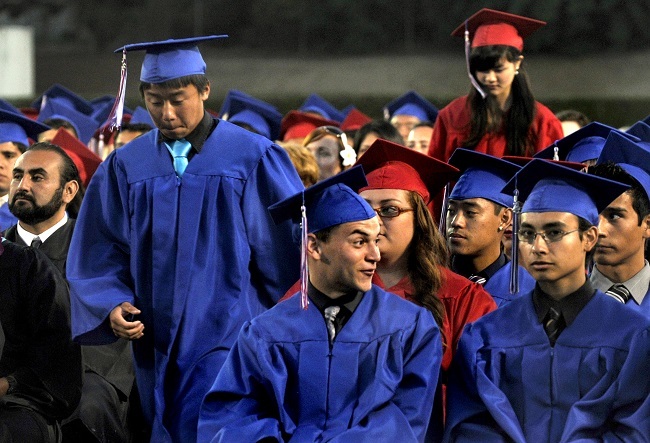 The Conquerors had a lot to cheer about as 429 students graduated with the Class of 2013 at Los Altos High School in Hacienda Heights. Many are continuing their educations, including the top three students: Kevin Tam, who is going to the University of the Pacific, Abraham Wu who’s moving on to UCLA and Nathaniel Shon, who will attend UC Irvine. This was the last of four high schools to hold its commencement exercises in the Hacienda La Puente Unified School District. The district had nearly 1,400 stuents graduate this year. See the photo gallery at GRADS.